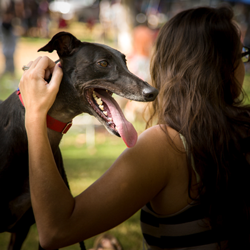 We've compiled a directory of resources pertaining to five main topics to support you as a Greyhound guardian. Within each topic are dozens of categories. Should you not be able to find what you are looking for, try using the search field (at left, above) to search the entire site or feel free to contact us. We typically respond within 24 hours. Please note: we are run 100% by volunteers. 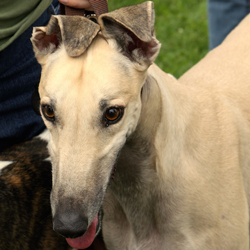 The greyhound is a very unique breed of dog. Their heritage can be traced back thousands of years. Their original role was to use their wit and speed to hunt. 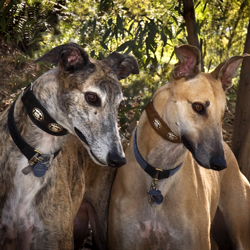 Greyhounds came to the US from England and Ireland not to be a pet but to keep critters at bay in the farm and rangeland of the US. The greyhounds we know and love today are mostly ex-racing greys. They are different from other breeds of dogs in their life experiences, their training and in some ways their physical nature. 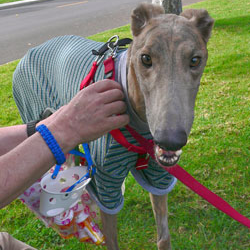 We at GreySave have had a lot of experience caring for Greyhounds. 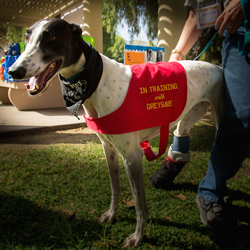 In this section, we've put together a library of health-related resources to help assist you in caring for your Greyhound. 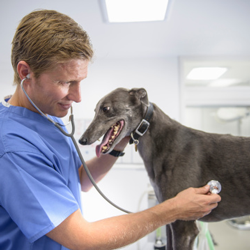 Since Greyhounds are different than the average dog, it is of the utmost importance that your vet be knowledgeable about health concerns specific to the breed. It can be the difference between life and death. In this section, you'll find basic care tips, travel advice, information on dog parks, and links to products and services. All, to support you in being the best possible Greyhound guardian! If your greyhound has become lost, call your adoption representative immediately. We will organize a search team and coach you through (as outlined by clicking button below).